Check out the full Harvest Cocktail recipe below, and get ready to indulge in some delicious fall flavors. 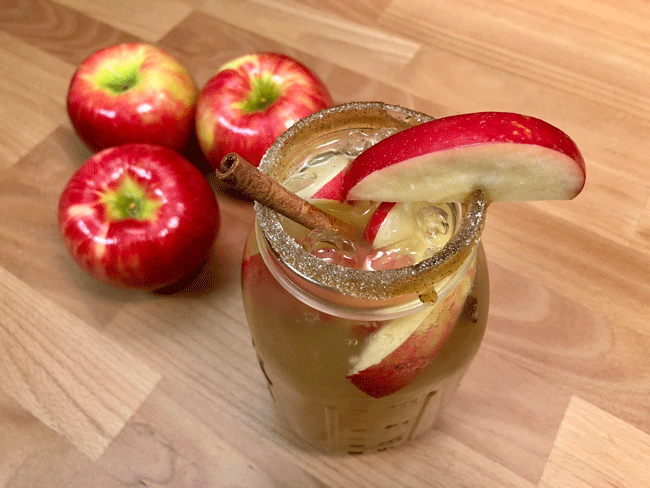 Alright, so we realize that cider and ginger beer doesn't sound like the best combination, but ... when you add in fresh fruit, cinnamon, and some bubbly, you'll be singing a different tune. So give this recipe a shot this season, and hopefully, it'll be your new favorite fall drink! Cheers! In a large punch bowl, add ice. Pour in apple cider, prosecco, vodka, and ginger beer. Add in apples, oranges, and cinnamon sticks. Give this recipe a try and let us know what you think! Also, share other fun fall-themed recipes with us in the comments below.